For those of you slightly unfamiliar with text message marketing, you’ll probably recognize the restaurant table tent concept. Next time you go out to eat, check out the promo cards on your table. One card might potentially read something like Text WINGS to 31996 to get a free order of wings and join our SMS list. This right here is a great example of text message marketing. If you’re a restaurant owner, you’d actually be crazy not to use this immediate and affordable mobile communication method. 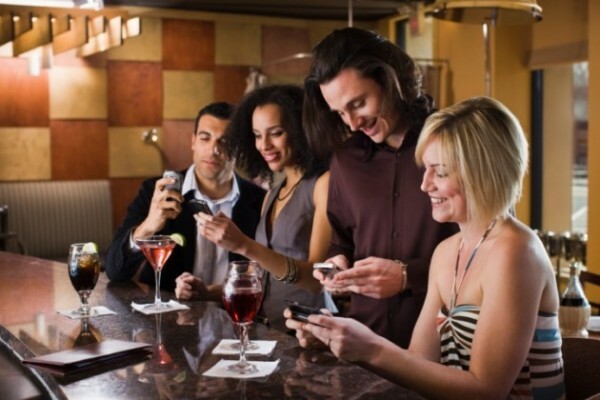 Here’s why text message marketing for restaurants is a match made in heaven. Text to win contests offer proven results. Although we recommend every user tries a text to win contest at least once, this tactic is especially useful in the restaurant industry. Give away one grand prize, let’s say a $500 gift card, and then also offer smaller weekly prizes. This keeps entrants engaged, and increases the chance of opt in. Promoting your list is a breeze. At a restaurant, your list promotion opportunities are endless. Coach your wait staff in word of mouth engagement strategies. Post flyers throughout your establishment. Mention your exclusive text rewards club on social media. Each promotional method can be effective, it mostly depends on your customer’s preferences, and how they respond to different marketing mediums. Text message marketing encourages increased offer redemption, which in turn increases sales. Fire out regular mobile coupons, and watch as patronage steadily increases. You must always send out qualified offers. Avoid discounts that are too specific. For example, instead of offering $4 off the cowboy burger, send out a text that gives subscribers $4 off all burgers. Keep it generic and appealing. If you’re too specific, you’ll only see a small handful of redemptions. Think it’s time to join forces with top text message marketing provider, Slicktext.com? Give us a call today at 1.800.688.6290 to sign up for your free plan.